We analyse what was a difficult night for United in the Nou Camp. It was always going to be a long shot. When the draw for the last eight of the Champions League pitted Manchester United against Barcelona, the Premier League side were instantly underdogs. And, after a valiant effort in a 1-0 first-leg defeat at Old Trafford, Barca’s quality showed in the return fixture at the Nou Camp last night. Lionel Messi scored twice and former Liverpool man Philippe Coutinho added a spectacular third as the home side booked their place in the semi-finals with what, in the end, was a routine victory. The shine has come off Ole Gunnar Solskjaer’s return to the club in recent weeks, with United’s form dipping drastically after an initial bounce of optimism and excitement following the Norwegian’s caretaker appointment back in December. United now have a battle on their hands to secure to top-four place in the Premier League this season – which, to Solskjaer’s great credit, looked a near impossibility at the time he took over from Jose Mourinho. 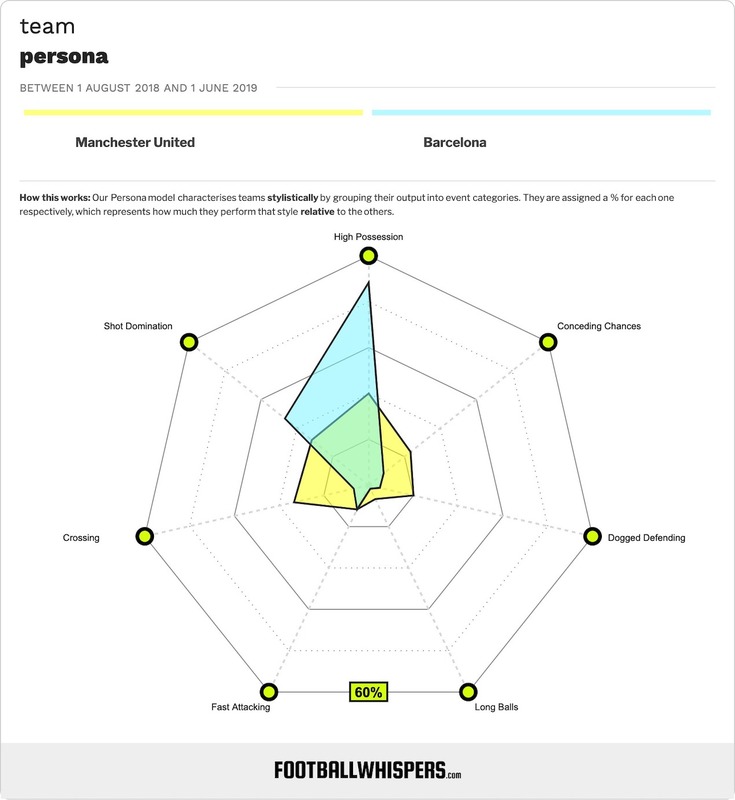 Up against the likes of Messi, Luis Suarez and Coutinho over two legs – even if the Catalan giants were at their best for little of the tie – United looked a long way short of the very best Europe has to offer. It’s going to be a long, hard road back to the top. Ashley Young has been a great servant to United, initially signed as a left winger but playing in any number of positions in his time at Old Trafford. But, at 33, it is a sign of how badly mismanaged the club’s recruitment has been in recent years that he is still a regular starter at full-back. The former England international has looked sluggish, off the pace and out of sync in recent weeks. He has looked his age. It’s difficult to hold this against Young; in some ways, he has been let down by the club’s inadequate moves in the transfer market, hung out to dry by being needed to play so often and in such high-stakes games. Young struggled desperately in both legs against Barca, loose in possession and unable to stem the tide of the Blaugrana’s attack. Something will have gone very wrong – again – with United’s summer recruitment if he is still starting at the beginning of next season. It was a one-sided affair in the end, but United had Barca rattled in the early minutes, with Marcus Rashford twice going close as the away side’s pressing and energy was pushing the hosts into uncharacteristic errors. United couldn’t make it last and Barca soon got a foothold in the game and took control, but on a night of few positives for Solskjaer, the way his side worked together and pressed early on is encouraging. They just need to sustain it for longer in future. With Luke Shaw suspended for the second leg at the Nou Camp, Solskjaer had to shuffle his defensive deck. The United boss elected to move Young, who has been the first-choice right-back this term, over to left-back, switch Victor Lindelof from centre-back to the right side of defence and bring Phil Jones into the middle of the backline. With hindsight, this was a mistake. 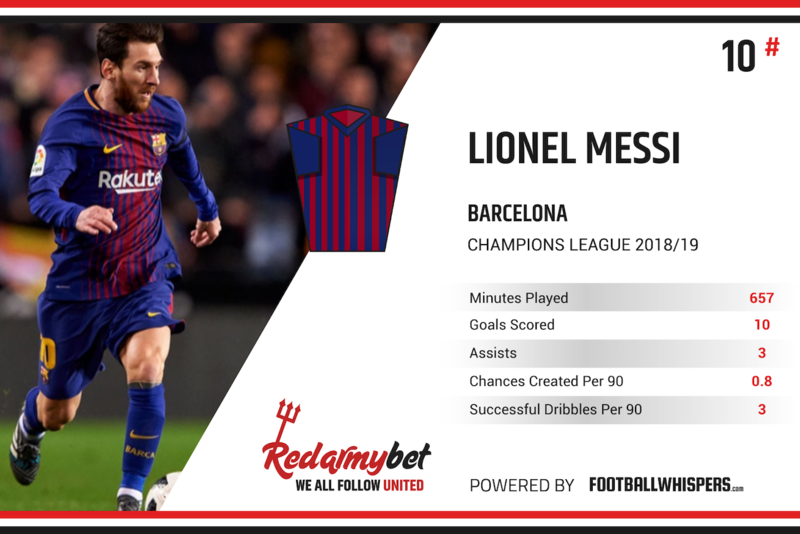 Jones struggled with the trickery and fluidity of the Barcelona attack, outfoxed by Messi – of course, there’s no shame in that; he’s not the first and won’t be the last defender to fall victim to the Argentinian magician’s brilliance – and Lindelof, who has been United’s best centre-back all season, was ineffective on the right. It’s unlikely that it would have changed the outcome dramatically, but playing Lindelof in his best position and moving Jones out to the right might have helped keep the score down. Voted United’s Player of the Year three times, David de Gea has come to his side’s rescue more than any other player currently at the club, but his form this season has been concerning. By his own high standards, there have been goals that have flown past him this season that he would be expected to save. And his most shocking blunder came at the Nou Camp, as he allowed a tame, right-footed effort from Messi to slip beneath him and into the net. Hopefully the Spaniard’s form is little more than a temporary blip and he’ll be back to his brilliant best next season.